the weather in san francisco has been kind of unpredictable this winter: it was cold and rainy last week, and the last few days it’s been warm enough to get by with lightweight layers. 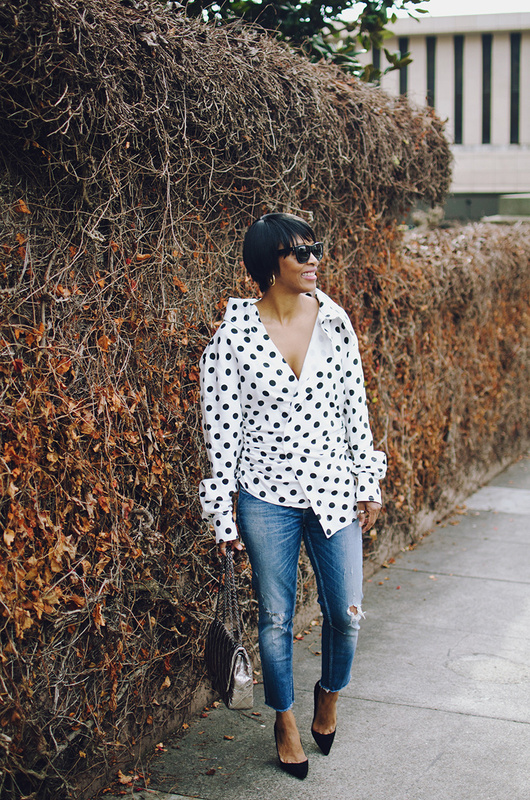 which also meant it was nice enough to pull out one of my sale finds, this jacquemus polka dot statement shirt. i had been stalking it since seeing it late last year, and was super happy to find it at mytheresa, a site i frequently get amazing end-of-season deals from brands like no. 21, balenciaga, isabel marant and the row. 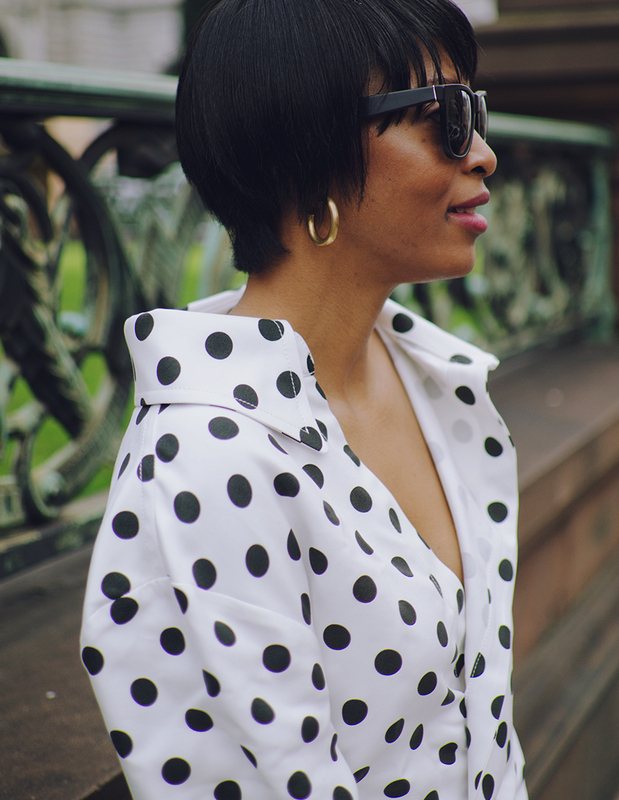 the silhouette of it is so fun, with the oversized collar and dots, but it’s also flattering through the waist with strategic ruching. 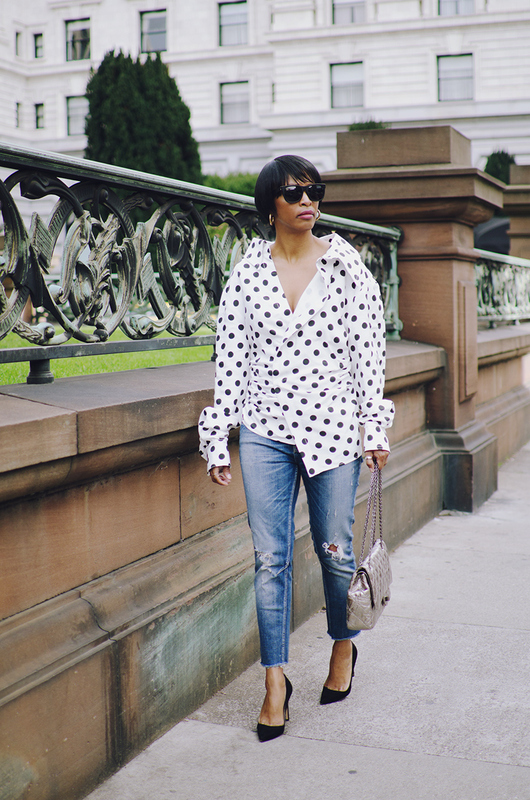 to keep the shirt the star, i paired it distressed denim (that i previously wore here before i cut the hem), my go-to black pumps (if you need a pair, the manolo blahnik bb’s are the best; so comfortable. 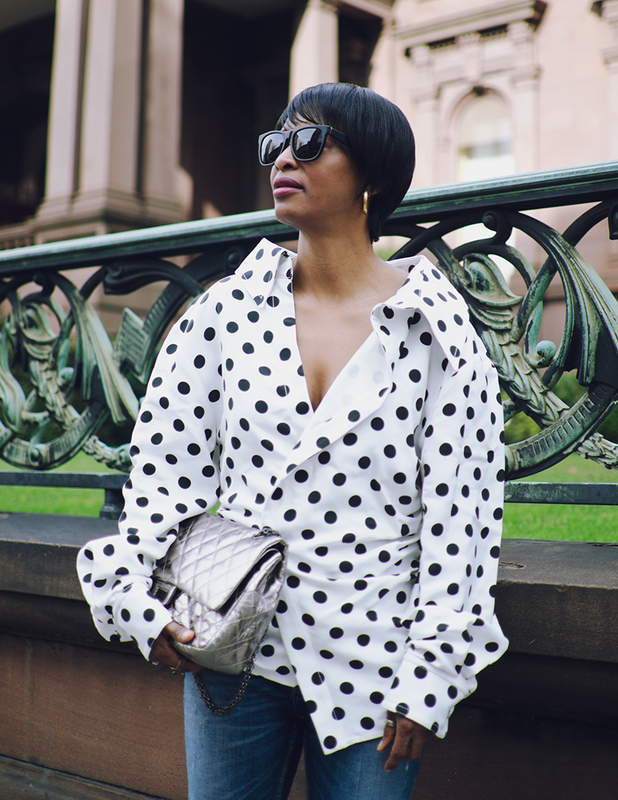 i’m wearing the 105mm heel, but they also come in 115, 90, 70, and 50) and i pulled out an oldie-but-goodie silver chanel reissue bag (as seen here). and since we had a few days of sunshine, i also got to wear the pink proenza pants i talked about here…so stay tuned for that post. did you snag something you’ve had your eye on during the end of season sales? Previous Post céline, dior, and fashion in the year of the woman.